Be among the first to learn about special purchases, new recipies, events and sales at our store, as well as special members-only deals. You Dream It. We’ll Create It. 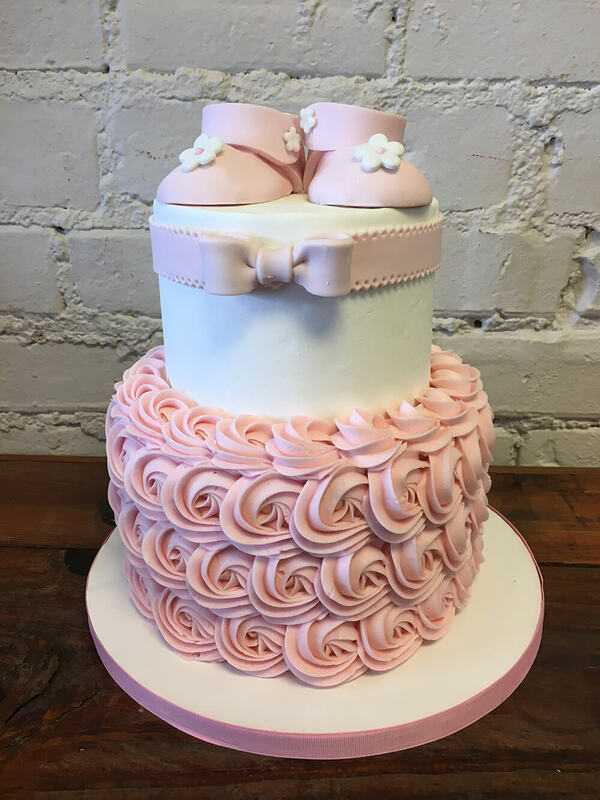 The Cake Lady specializes in custom orders and pays complete attention to detail making sure each cake is special and unique. Every order is baked fresh using quality ingredients. We take great pride in our work and seek to give our clients the best experience possible. We believe your cake should taste as good as it looks. 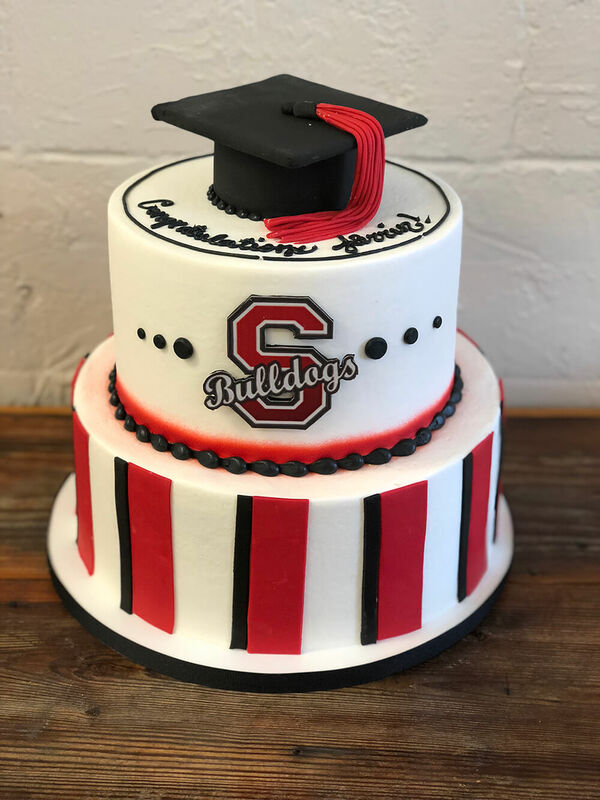 The Cake Lady specializes in custom orders and pays complete attention to detail making sure each cake is special and unique. 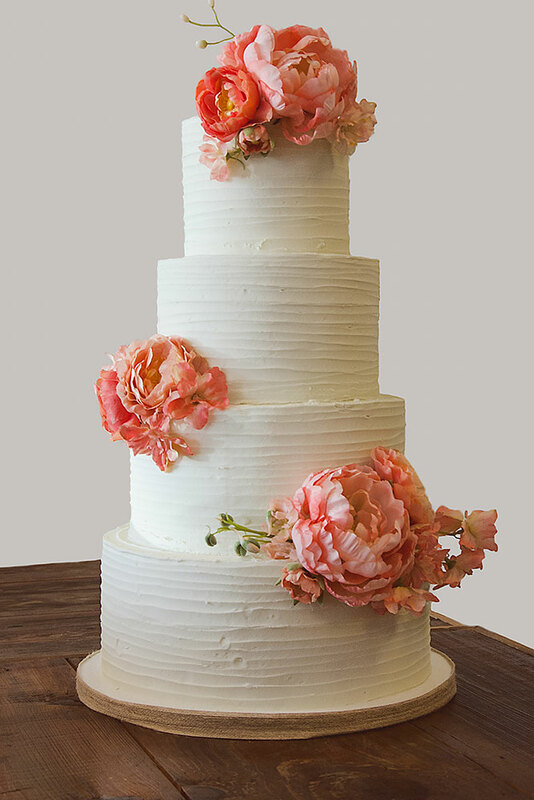 Allow us to design a beautiful and delicious cake that will be the perfect centerpiece of your reception. We can create almost any cake you can dream of, but we also offer a varied selection of pre-made goodies. Everything we do is hand made from scratch, and we pride ourselves on making things just right. Chocolate and vanilla marbled cupcake filled with banana cream and glazed with strawberry sauce, iced with whipped cream icing and finished with chocolate ganache drizzle, banana chips, toasted pecans and a cherry. Party cake iced with vanilla buttercream topped with rainbow sprinkles and finished with a candy garnish. Yellow butter cake with a pastry cream filling topped with smooth dark chocolate ganache. Classic carrot cake cupcake with cream cheese buttercream and topped with a toasted pecan. Buttery yellow cake dotted with semisweet mini chocolate chips, filled with chocolate chip cookie dough, iced with chocolate buttercream, topped with more chocolate chip cookie dough, and garnished with a mini chocolate chip cookie. Spice cake cupcake filled with cream cheese filling, iced with cream cheese icing and topped with cinnamon sugar sprinkle. Rich and fudge chocolate cake with smooth chocolate buttercream. Vanilla bean cake iced with vanilla buttercream. White chocolate raspberry cupcake filled with white chocolate ganache, topped with vanilla buttercream, and red and white sprinkles. Chocolate cupcake with cookies and cream filling, iced with whipped cream, and topped with a mini chocolate sandwich cookie. Orange cream cupcake with cream cheese filling and iced with orange buttercream. Topped with homemade coconut-pecan icing and finished with chocolate buttercream and a toasted pecan. Italian cream cupcake with cream cheese icing topped with toasted coconut and pecans. Lemon cupcake with lemon curd filling, iced with lemon buttercream and topped with lemon drop candy. Chocolate cupcake with peanut butter filling, iced with chocolate buttercream, topped with peanut butter drizzle, chocolate ganache drizzle and peanut butter cup candies. Vanilla cupcake with white chocolate ganache filling, iced with peppermint buttercream and topped with white chocolate peppermint crumbles. Pumpkin cupcake with cream cheese filling, iced with cream cheese filling and topped with a candy pumpkin. Iced with homemade cream cheese icing and topped with red velvet crumbles. Vanilla cupcake filled with caramel, iced with caramel buttercream and topped with salted caramel. Strawberry cupcake filled with vanilla cream filling, iced with strawberry cream icing, topped with a malted milk ball. Chocolate cupcake with a graham cracker crust, filled with marshmallow cream, iced with chocolate buttercream, topped with toasted mini marshmallows, graham crackers, and milk chocolate candy bar pieces. Chocolate cupcake with dark chocolate ganache filling, iced with chocolate buttercream and topped with dark chocolate ganache drizzle. Chocolate-pecan cupcake filled with homemade caramel, iced with chocolate buttercream and topped with caramel drizzle and toasted pecans. Each order is custom designed, so there is no set price. Each order is custom designed, so there is no set price. Each cake is individually quoted and you will receive a written quote based on how many people you would like to serve and design detail. Our prices are very reasonable and you will not be disappointed. Buttercream cakes start at $4/serving. Fondant-covered cakes start at $5.50/serving. Sheet cakes start at $2.50/serving. Wedding cakes start at $4/serving. The final price of your custom cake will depend on your choices of size, servings and complexity of design. Starting prices do not include hand-sculpted 3-D figures and toppers. Standing structure, 3-D sculpted and gravity defying cakes are priced according to design and size. There is a minimum order fee of $175 for these types of cake regardless of how many you’re serving. Custom cupcakes start at $28 per dozen (or $2,50 each) and custom sugar cookies start at $30 per dozen. All other treats such as cake pops, cake truffles, chocolate-covered Oreos, and chocolate-dipped pretzel rods are priced according to design and ordered by the dozen. Should you suffer from any allergies or intolerances, let us know before ordering. Should you suffer from any allergies or intolerances, let us know before ordering. We can assist you in choosing the right sweets with your allergy/intolerance in mind. We will endeavor to do all we can to accommodate your allergy/intolerance, however we operate out of a small kitchen and therefore can’t guarantee that cross-contamination of ingredients will not take place. In preparation, and in cooking, the same equipment and surfaces may be used for various ingredients (within the parameters of health and safety guidelines). When not just any cake will do, turn to The Cake Lady for a delicious work of edible art to enhance your event. "The Cake Lady did a fantastic job on our wedding cake. 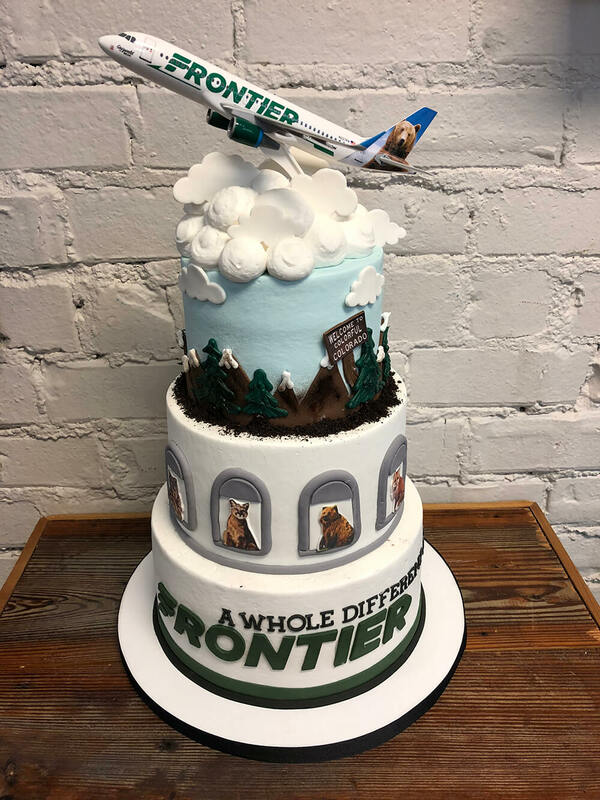 We had so many compliments on what a beautiful cake we had. Stunning." 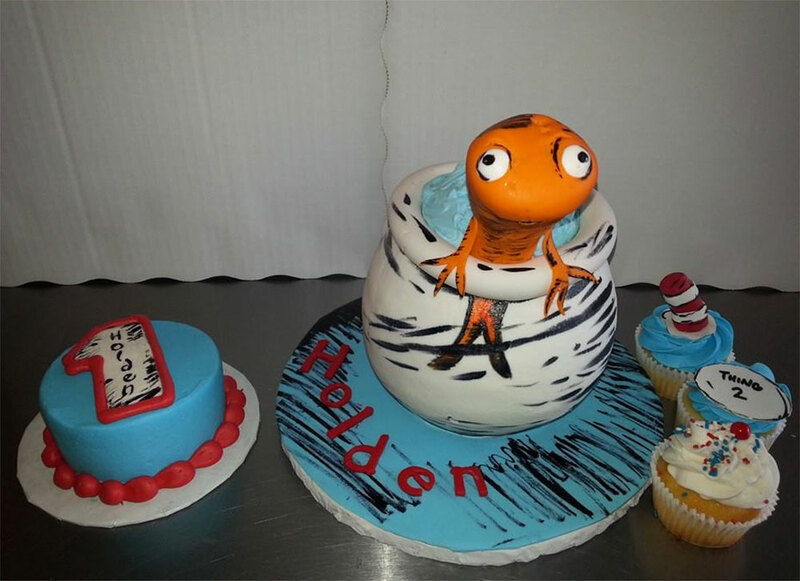 "Ashley has made my children’s birthday cakes for years and every year they turn out even more amazing then I envision. They truly are works of art, but also very delicious. She is very professional and willing to work within your budget to make the perfect cake or dessert to meet your needs." "I loved the two NASCAR-themed birthday cakes she made for me, as well as many cupcakes and other dessert specialities. They are always as delicious as they are beautiful. Thanks so much." "I have ordered numerous cakes and cupcakes from Ashley for many occasions. I love that I can just give her a general idea, and she works her creative magic and produces something better than I even imagined. The best part is, they taste as great as they look. I highly recommend The Cake Lady." 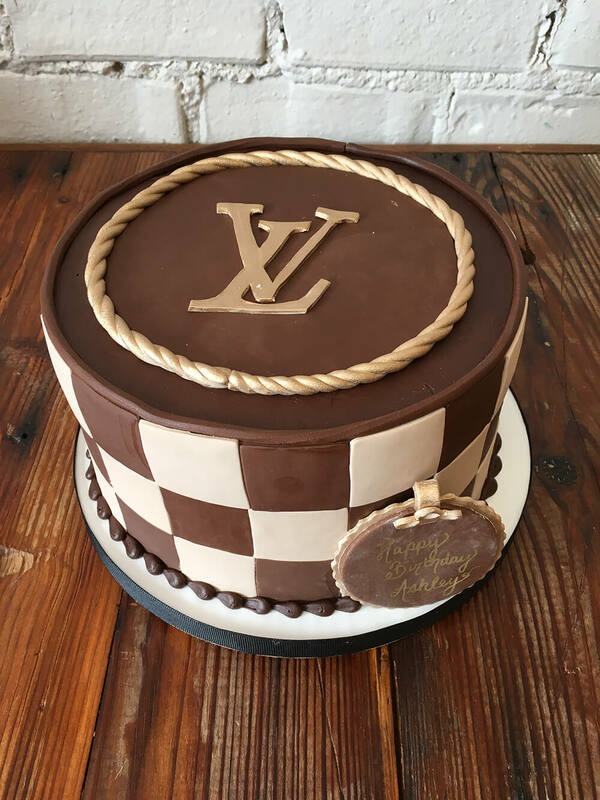 "The Cake Lady makes the best cakes. You can tell the cakes are made with such great detail and perfection. It's hard to find people who genuinely care that everything is perfect on a finished product like she does. The bakery is so adorable as well. Great atmosphere and amazing tasty treats." Want to see what others are saying? Check out visitor posts on our Facebook page. Thank you! Please check your email to verify.